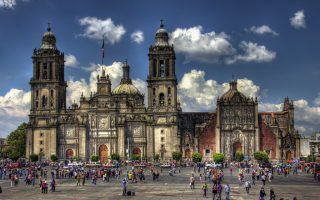 Mexico City is the capital of Mexico. As an “alpha” global city, Mexico City is one of the most important financial centers in the Americas. Colonia Centro is the business, banking, and historic center of Mexico City. Within Colonia Centro, is Centro Histórico. 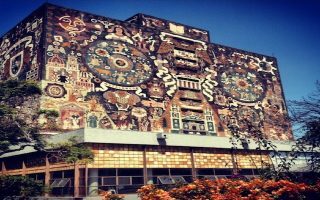 Here you’ll find historic landmarks, important public buildings, the partially unearthed Aztec ruins of the Great Temple, and numerous museums. This is our guide to the best places to run in Mexico City, Mexico. 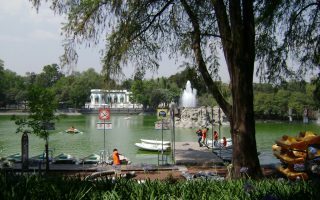 Within Colonio Centro is Chapultepec Forest (Bosque de Chapultepec) — is Mexico City’s largest oasis and one of its running highlights. It is divided into three sections, and home to forests, lakes and several important sights and attractions. 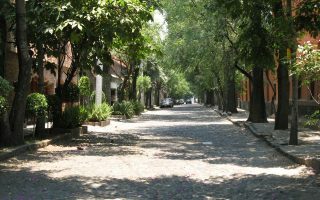 In between Colonia Centro and Chapultepec Forest lies Zona Rosa, which is one of the city’s most touristy areas. South of Zona Rose lie the Roma and Condesa neighborhoods. These bohemian neighborhoods feature the city’s hippest cafes and bars, from cutting-edge restaurants to offbeat shops, art galleries, and nightclubs. 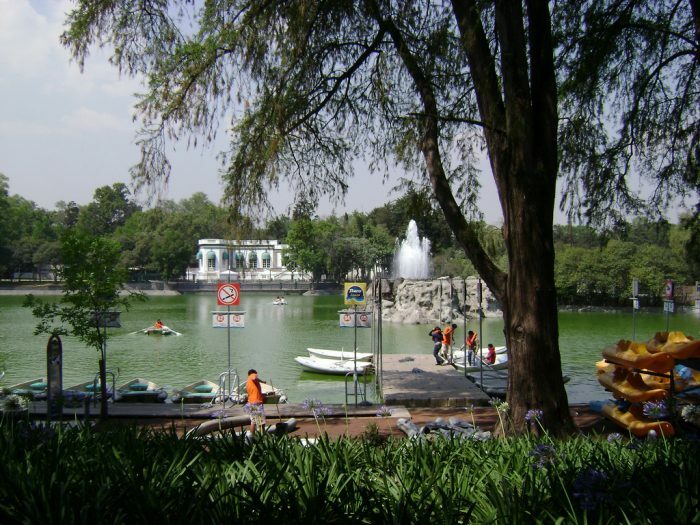 Other running highlights in Mexico city are the Coyoacan and San Angel neighborhoods. Not far from the city, El Ocotal, Cuemanc, Bosque de Tlalpan, and Forest of Aragon are worthy running destinations. There are two obstacles when running in Mexico City: altitude and pollution. Located at an altitude of 7,350 ft in the Valley of Mexico (a large valley in the high plateaus at the center of Mexico), it is important to allow yourself to become acclimated to the elevation before pushing yourself. Pollution is also a reality in Mexico City. Try planning your runs in the morning or the evening, and the air quality will be better. **Big thanks to Go! Running Tours for their help outlining the best running routes in Mexico City**. Mexico City is huge but there are various forms of public transit to help you get around. The quickest form of transportation is the metro system, consisting of 12 lines with 195 stations. All lines operate from 5am to midnight weekdays, 6am to midnight Saturday and 7am to midnight Sunday and holidays. Peseros (also called microbúses or combis) are gray-and-green minibuses operated by private firms. They follow fixed routes, often starting or ending at metro stations, and will stop at virtually any street corner. Route information is randomly displayed on cards attached to the windshield. The city’s bus rapid transit line is the Metrobús. The metrobús stops at metro-style stations in the middle of the street, spaced at three- to four-block intervals. Buses and peseros operate from around 5am till 10pm daily, depending on the route. Electric trolleybuses generally run until 11:30pm. 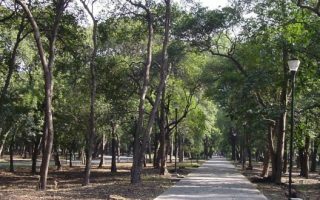 “Bosque de Chapultepec” (Chapultepec Forest) is the largest city park in the Western Hemisphere and is often referred to as Mexico City’s "lungs". We've mapped out a 3.6 mile park loop, and 5k loops of El Sope and Minor Lake. 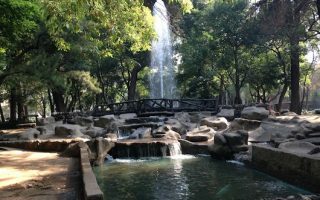 Centrally located park located in the trendy Condesa neighborhood provides an urban oasis for runners. A loop of the trails and paths is about 1 km, so you'll have to do some laps. 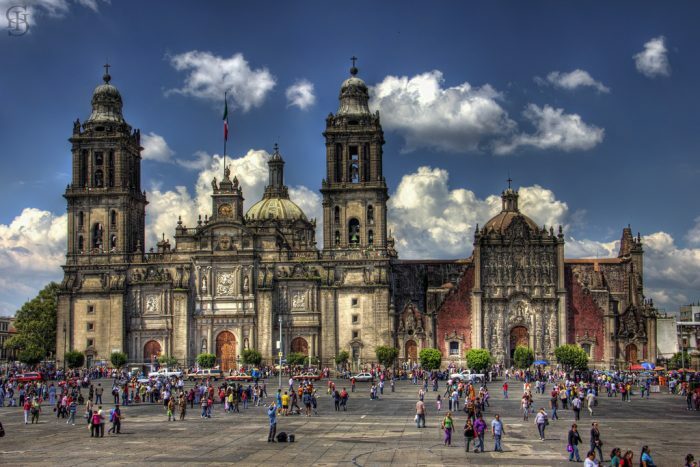 This is a 6.2 mile tour of some of Mexico City's most important and historic sites, starting from the Zócalo metro station. Note that on Sundays, Reforma Avenue is closed to traffic until mid-day -- a special bonus for runners! A 3 mile tour of Coyoacán, a quaint neighborhood is known for its cobblestone and bohemian flavor. Includes some parks, pretty residential streets, and some sites including Templo de San Juan Bautista and the Frida Kahlo Museum. A stunningly beautiful neighborhood of cobblestone streets, Colonial-Era homes, as well as several worthwhile museums south of the city center. Mexico City’s Secretary of Tourism named the San Angel neighborhood a Barrio Magico (Magic Neighborhood). A forest in the Cuajimalpa delegation in Mexico City. The best time to visit is on the weekends, when it is bustling with runners and walkers. There are native tree species such as fir, ash and pine. A running circuit of about 2.15 miles is very popular. Canal Cuemanco, in the eastern part of the city, was the venue for rowing competitions in the 1968 olympic games. A paved 5K path around the canal makes for a great place to run away from Colonia Centro. Great views of volcanoes and mountains. 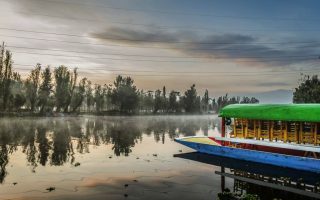 The Bosque de Aragón is a park located in the Gustavo A. Madero, near the International Airport of Mexico City. There is a 2.5 km paved path surrounding a fountain and a second 5 km dirt path around the perimeter of the park. 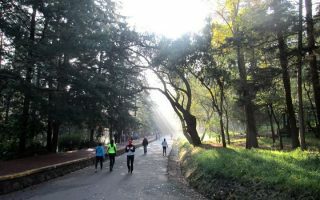 Forest of Tlalpan is perhaps one of the best known by runners, athletes, and nature lovers who live south of Mexico City. 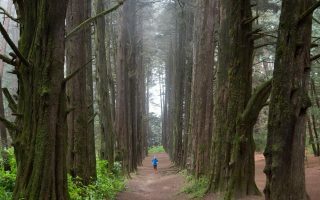 The five different running tracks, and natural beauty make this forest one of the favorite places for exercise. Accessible by public transport. 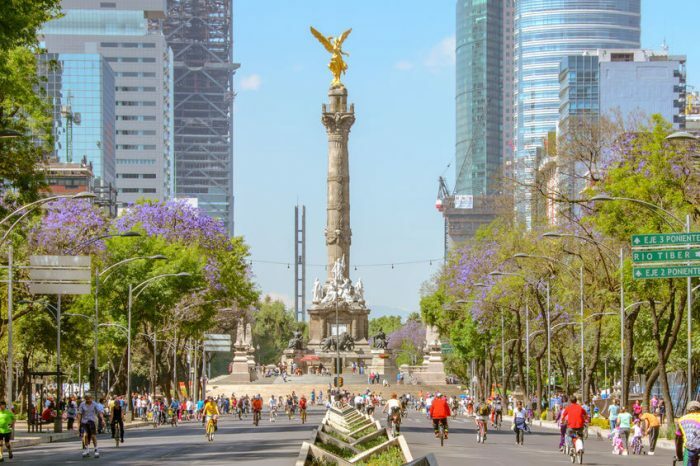 Mexico City enjoys mild, pleasant weather (great for running) year round. It’s climate is classified as subtropical highland due to its tropical location and high elevation. The average high is between 70 an 85 (21 to 28 12 to °C) throughout the year. Nights can be cool, as low as 5C in thw winter months. October through May is the city’s dry season, and from June through September is considered the “rainy season”. During the summer months it rains on average once a day, though the rain rarely lasts longer than a few hours. Due to the city’s location near the equator, there is not great variation in daylight length. 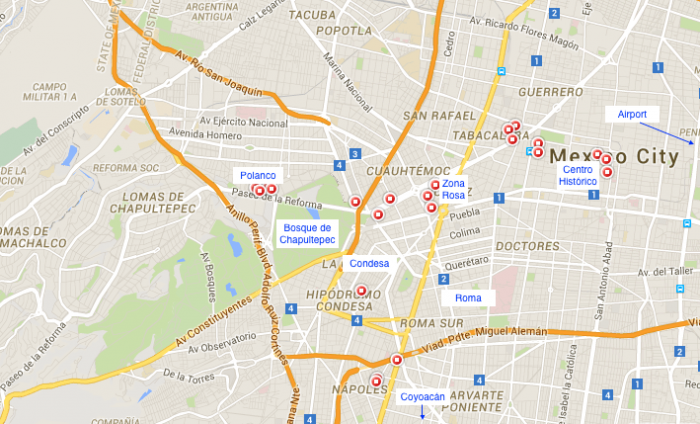 There are numerous options for lodging in Mexico City. Some of the most reasonable places are in the Centro Histórico, while more luxurious accommodations, are concentrated in Polanco and the Zona Rosa. Staying in Centro Histórico and Zona Rosa provides access to the Historic Downtown route from your front door. Similarly, staying in Polanco (bordering Chapultepec Forest), has easy access to running routes in the forest. South of Zona Rose lie the Roma and Condesa neighborhoods. These bohemian neighborhoods feature the city’s hippest cafes and bars, from cutting-edge restaurants to offbeat shops, art galleries, and nightclubs. Condesa is close to the Chapultepec Forest routes, whereas routes from Roma are accessible through Metro transportation. There aren’t as many specialty running shops in Mexico City as in some other cities, but here are a few. Todos a Correr Anzures and Santa Fe Locations. Specialty Run Store. Group Run Saturday 8:00am from the Anzures Store. Trailsport Carries a wide variety of specialty items for running, triathlon and cycling. Minimuri Location varies. Running club with free trainings. Total Running Location varies. Running club with free trainings. Mexico City Half Marathon July. Rock ’n’ Half Marathon March.